My book came out in the US & Canada last month! 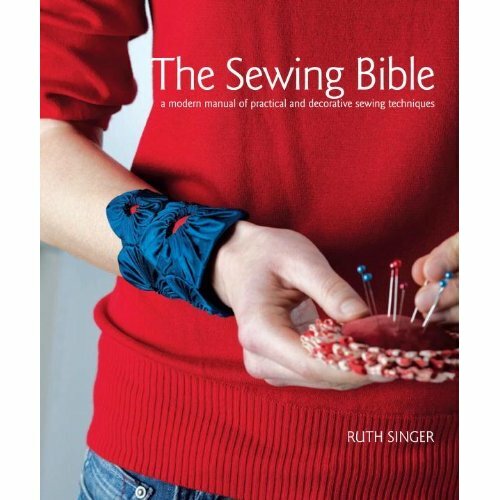 Sew It Up has been retitled The Sewing Bible and has a lovely new red cover, which I absolutely love! It’s exactly the same book just with American terms and imperial measurements. I’m delighted to say that it’s going down really well and has had lovely reviews from all sorts of places like (woohoo!) A Dress A Day. Thanks Erin! Second book is about to go off to print and 3rd book is a twinkle in my eye! Just put Sew it Up on my amazon wishlist. I hope the in-laws get the hint. Congratulations Ruth!! :)Did I read THIRD book?! Ruth I got your book for Christmas today and it's wonderful, it reconfirms everything I knew and had forgotten, and reminds me of some of the wonderful things my grandma taught me. And a whole new set of stuff besides, thank you so much.